It was brilliant to welcome Rev. 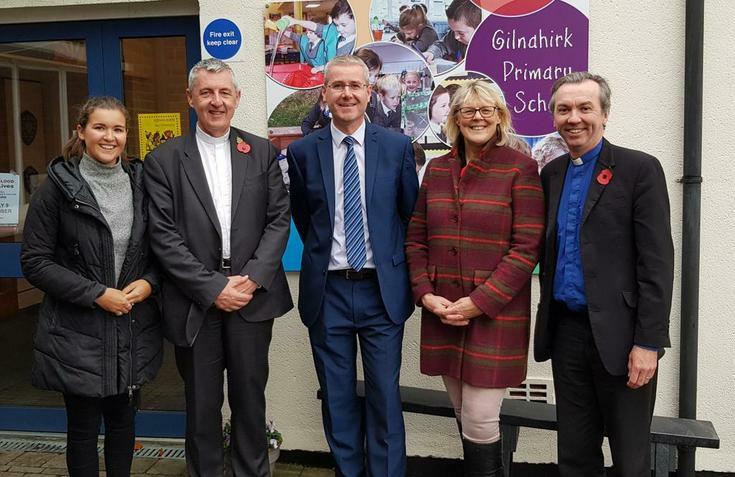 Charles McMullan @PCIModerator and his wife to Gilnahirk Primary. Mrs. McMullan shared the story of the Bassetts Jelly Babies and the Rev. McMullan prayed for our school community. Rev. Moore and Laura (Gilnahirk Pres.) organised the visit.